One of the advantages of the Internet, for me, is the ability to do some of my purchasing online. While I like to browse the shops in town, if I don’t fancy joining the many shoppers on Saturday mornings crammed into narrow aisles and long checkout queues, I can click now and take delivery later. Fighting my way round a local supermarket or clothes store does make me wonder about the phrase which tells us that ‘the best things in life are free’. If that’s the case, how come parking is such a nightmare at the shopping centre most weekends? What ‘the best things in life’ are could be the subject of a lengthy debate, and probably not one which would end in consensus. People value different things, and as we’re all individuals what we would choose as the ‘best things’ would be a very personal decision. Abraham Maslow, the American psychologist, came up with a model known as the ‘hierarchy of needs’. This model aims to identify just what we as humans do need and in what order. The model starts with our physiological needs as the base layer (e.g. 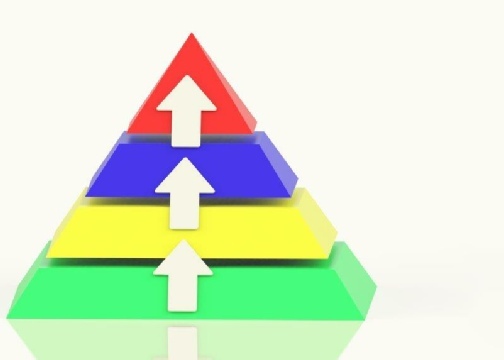 food, water, sleep), then moves onto our ‘safety needs’ next (a roof over our head, personal safety), with the idea being that once needs on one layer are met we will turn our attention to the next level up. The top tier of Maslow’s model is termed ‘self-actualization needs’, which includes things like achieving our potential. Now clearly, if we do not have enough food to eat, or something to drink, these things are going to cost us money to obtain. At this level, a hungry person is probably going to decide that the ‘best thing’ may well be a hot meal and something to wash it down with. I would imagine that there are possibly many people not too far away from where we are right now reading this blog post who would not agree that ‘the best things in life are free’. If you need money for a sandwich, or to stay warm, obtaining that money is going to be high on your list of priorities, and understandably so. We don’t have to climb too much higher up the hierarchy of needs, however, to get to the psychological needs of ‘friendship and intimate relationships’. While going to the cinema with friends may cost money, I think that perhaps we could agree that the friendship itself, is ‘free’. The welfare system and charities providing for homeless people here in the U.K. try hard to ensure that people with little means have at least the food they need to live on and a place to rest their head at night. These are the basics, which ideally no-one would be without. If a lot of people can tick these boxes in terms of having enough food and a warm bed, however, why do many people spend a lot of their energy trying to acquire things that we can buy at the local shopping complex? If we look at the level up from ‘belonging and love needs’, we get to ‘esteem needs’, which list things like ‘prestige’ and ‘feelings of accomplishment’. It seems that for a lot of people, driving a nice car and wearing nice clothes are the way they meet these needs. Having more ‘things’ seems sometimes to mean ‘more accomplishment’. That final tier – ‘self-actualization’ – is reached when we are the best we can be, and I would suggest that ‘achieving our potential’ is not all about material gain. Maslow didn’t write the pyramid with the words ‘get the most stuff’ at the top. As a counsellor, clients often approach me looking to make the most of our therapeutic relationship as a means of self-development. They have recognized that talking things through may assist them in figuring something out, or strengthening an area where they feel they are personally lacking. Moving from ‘belonging and love needs’ to ‘self-actualization’ is certainly possible, if we don’t get stuck at the ‘esteem needs’ stage with a cupboard full of unworn clothes and a credit card bill that only heads in one direction. So, are the ‘best things in life’ free, after all? I might suggest that while there is definitely a need for essential material resources at one end of the scale, and while it certainly is nice to have nice things, it seems that if we are aiming for the peak of the pyramid we may need to look elsewhere than on the shelves of our favourite high street retailer. Where would you place yourself on Maslow’s model? Where would you like to be?